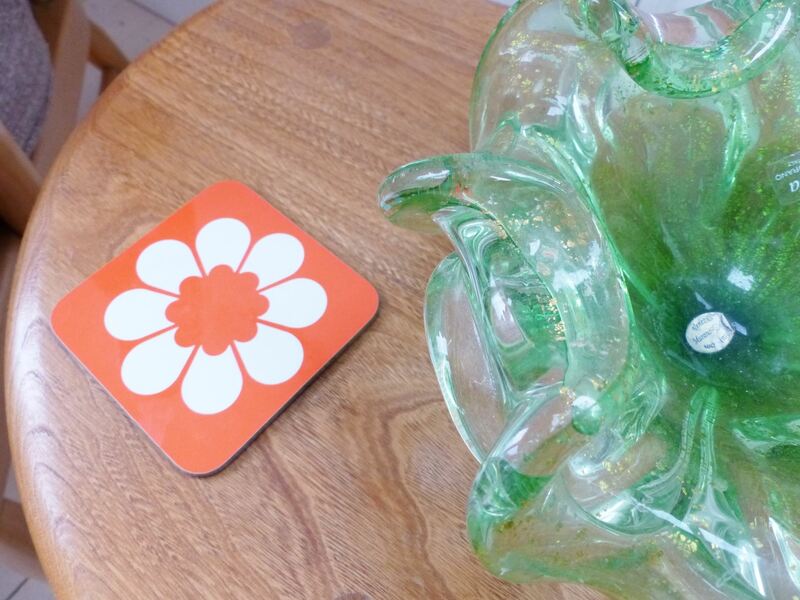 I’ve been recently sent some amazing vintage style homewares from Hunkydory Home, an online store who have fully embraced colour and pattern with a real retro vibe to it. 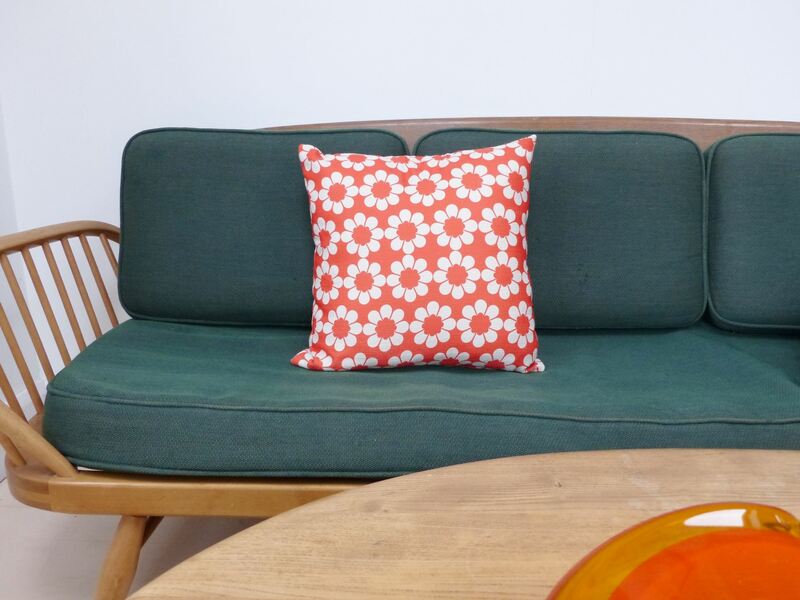 I am totally in love with their retro cushions especially. 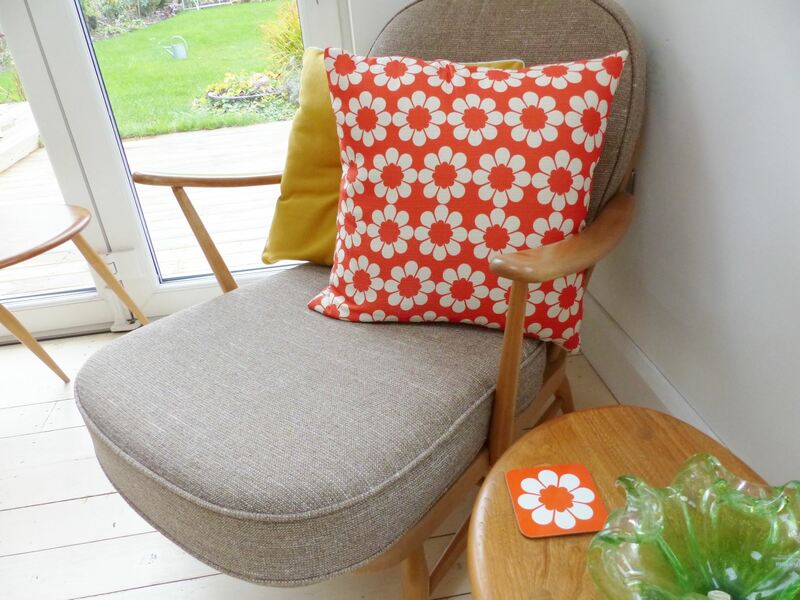 The orange flower cushion is part of their new Retro Flowers range, which has the same pattern on lampshades and coasters in blue and yellow also. 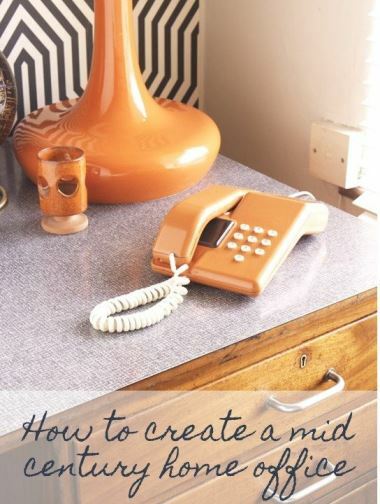 The orange colour is so vibrant and pops out against a muted or white like mine colour scheme. It’s also really plump which I love as so many cushions you buy lack this and feel, well a bit limp! I have it paired with a mustard yellow cushion from The Range. The matching coasters are great also and go perfectly with our room. 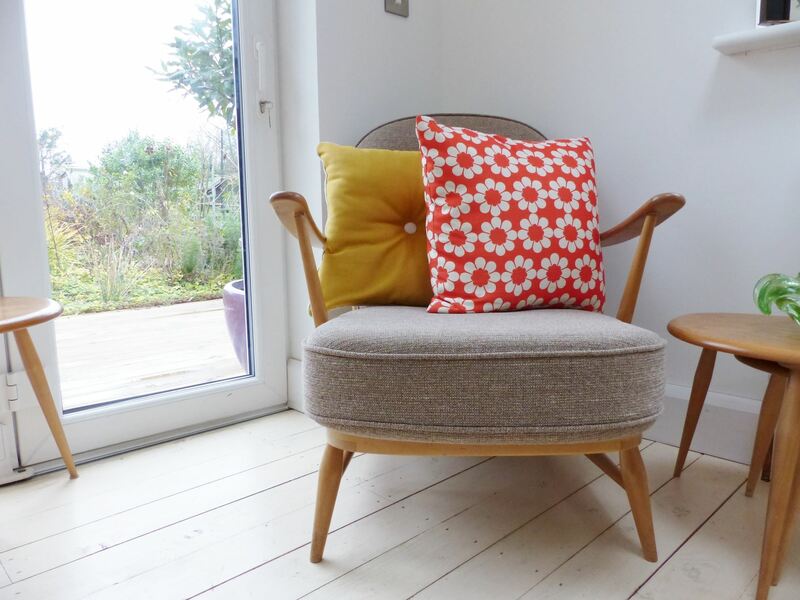 I’m slowly building up my cushions and love to mix modern with vintage ones. 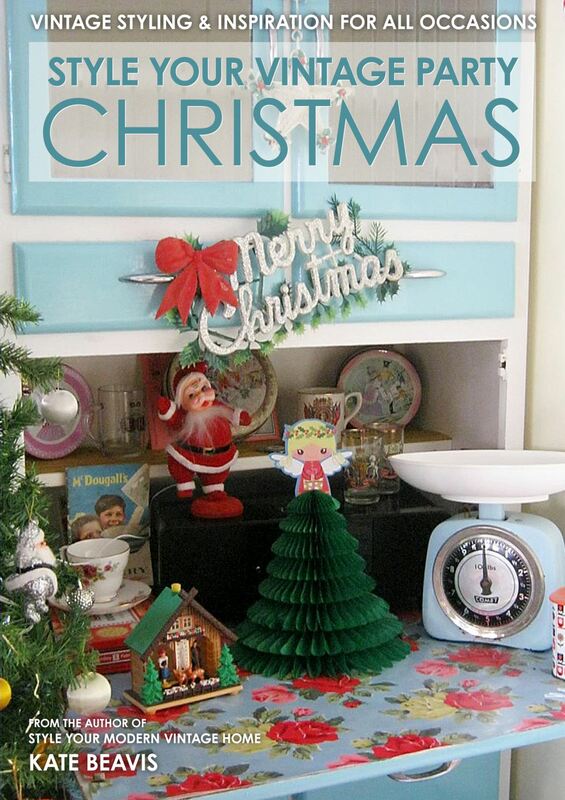 This one from Hunkydory Home is perfect for this. 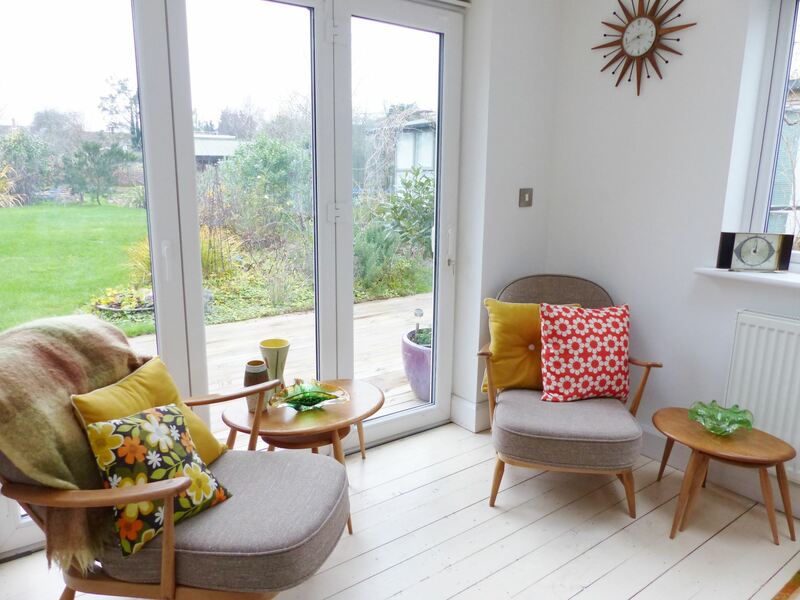 Now I am on a mission to sort my lounge cushions out! I have some amazing material and now just need someone to make them for me (hint, hint!). 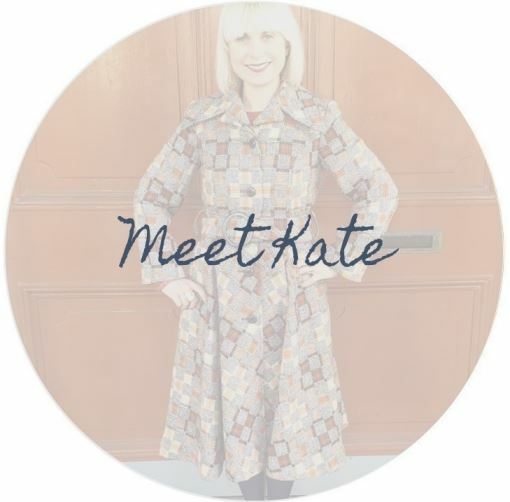 Kate Beavis is a vintage expert, writer, event organiser and blogger. 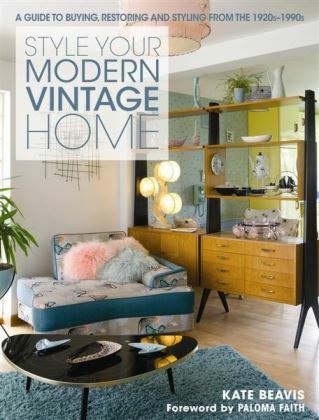 Her book Style Your Modern Vintage Home was published in 2013 and is a guide to buying, styling and restoring vintage from 1920s-1990s. Her blog launched in 2010 and was a finalist in 2015 Cosmopolitan Blog Awards. 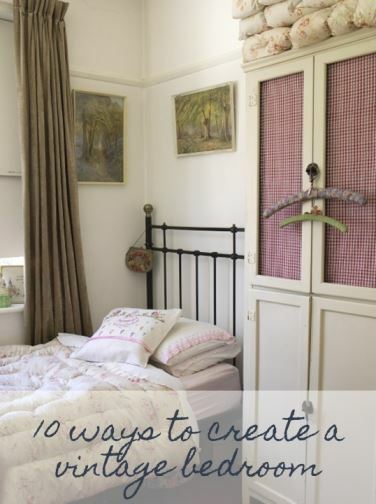 She has written for and appeared in multiple newspapers and magazines such as Vintage Life, Reloved, The Metro, The Lady, Huffington Post and Wedding Ideas and her home has been featured in magazines such as Homestyle, Pschologies and Inside Crochet. Her TV appearances include This Morning, Channel 4 News and ITV's Lorraine. She is also the director of the original and award winning Magpie Wedding. After a 20 year career in retail she also helps mentor small businesses, sharing her knowledge in workshops, events and online. Your furniture is fantastic! 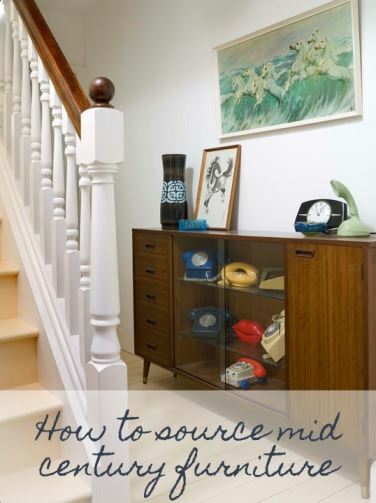 Are those vintage pieces or modern with a vintage vibe? 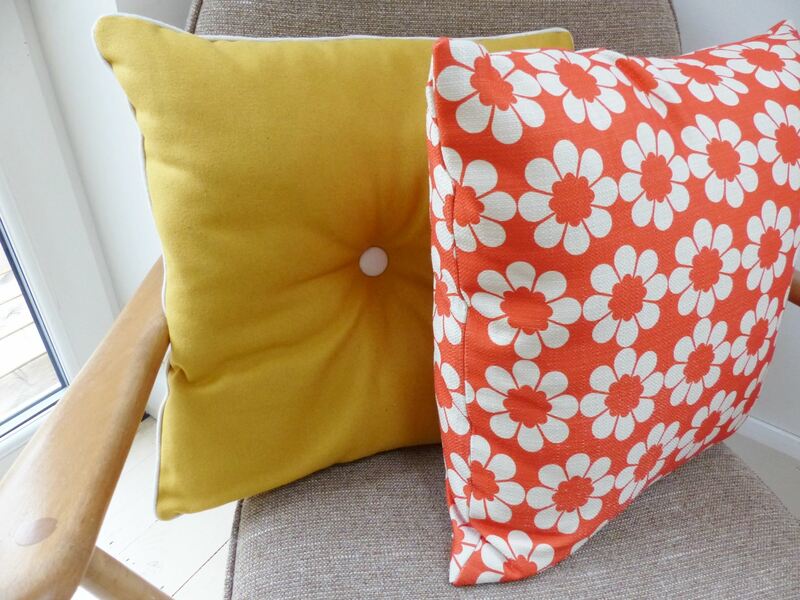 Your pillows are perfect for adding a pop of color!